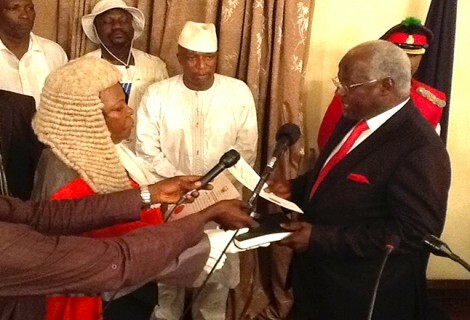 President Koroma has delivered his 2014 New Year’s address to the people of Sierra Leone. And as is traditional, he announced his resolution for 2014, prompting questions about his achievement of last year’s resolution, as well as raising expectations. Today, he called for every Sierra Leonean to enter into what many would describe as a ‘social contract’ – the rebalancing of relationships with others; ‘putting others first, rather than the self’, as a means of increasing national productivity and prosperity. “It is time for a new resolution for change in our relationship with each other, a resolution for a new era of commitment, patriotism and pride….” – says the president. But this call for ‘attitudinal change’ is not new. It is a mantra not only espoused by the president and his ministers, but one which was intended to become the central core of government programme delivery. The formation of an Attitudinal Change Directorate, managed by a chairman and director, has not delivered the national change in attitude demanded by president Koroma. Instead, there is strong, widespread cynicism about the seriousness of government in promoting attitudinal change. 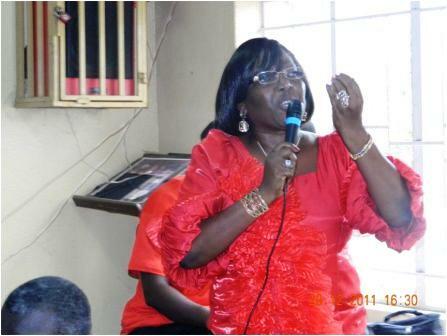 (Photo: Attitudinal change chairman – Nanette Thomas). Most Sierra Leoneans believe that those in power are failing to set a good example, worthy of emulating. Corruption in high places, graft, lawlessness and impunity are blemishing the seat of power and eroding public trust in government. But is that not reminiscent of his 2013 resolution? But by the end of 2013, it was obvious that his resolution had turned into disillusion for the people of Sierra Leone. The president does not seem to have the appetite to take on his network of patrons and political allies, let alone his kith and kin to whom so much is owed. Promises made to eradicate street trading in the capital have not been kept, as common sense and good governance gave way to political expediency. Crime levels have risen, despite the increasing use of live ammunition by the police in dealing with minor disturbances, including protests by school children, causing several deaths across the country. The dumping of rubbish on side roads, due to the lack of waste management facilities is risking a more deadly outbreak of cholera in the capital. So will the president’s call for national resolution succeed this time around, after failing woefully to do so in previous years? “This is the season of goodwill; the season for resolutions, and the season for leaving behind old habits that hinders growth. It is the season for continuing with and embracing habits that move us forward with grace, with success, with positive changes in our lives, our communities and our nation. “Let us then, not only wish relatives, friends and acquaintances goodwill; let us scale-up our season’s greetings into goodwill for this land that we love. “Let us make 2014 a year of goodwill for this nation, goodwill for our economic growth, goodwill for our fight against corruption, goodwill for the enforcement of law and order, goodwill for better health and learning outcomes all over the nation, goodwill for the rebranding of the nation and good will for more jobs, especially for the youths of this country. “But let it also be known that goodwill is not only about wishing it; it is also about taking actions that show that we have goodwill. Let us therefore make resolutions to take specific actions that show our goodwill for our country. “A week and half ago, at the State opening of Parliament, I stated my government’s resolutions for the coming year. I reiterated our commitment to continuing actions for more investment and job creation in this country: more infrastructural development; more money into the pockets of Sierra Leoneans by raising the minimum wage; more actions in the fight against corruption; actions to reform the public service; and more actions with and for women and youths. “I noted that we still face challenges, but that it is within our heritage to overcome these challenges and make this country great again. “As President I took an oath before God and citizens to move this country forward, and by the Grace of God, I shall remain true to this vow. 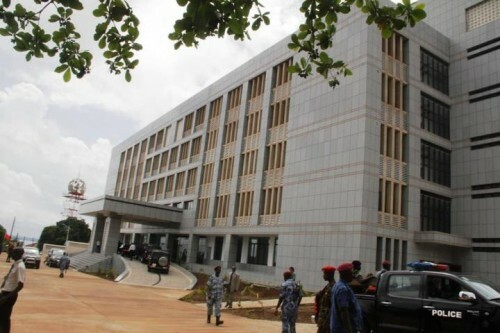 “But moving this country forward does not only depend on the actions the government takes; Ernest Bai Koroma is not everywhere, ministers of government are not everywhere, and mayors and chairpersons of councils are not everywhere at every moment. “The structures that are in place to develop our country, work better and productively when individuals use them well. 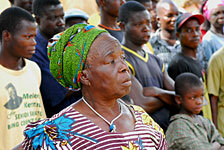 “The question every morning for every individual Sierra Leonean should be: what has my country gained from my actions? What specific actions am I taking to contribute to the growth of this nation? What have I done to bring honour, respect and laurels to my community and my nation? “Let the nurse sustain goodwill for this nation by the way she treats the pregnant woman and child under five; let the teacher manifest goodwill for Sierra Leone by the way he makes the student beam with understanding of what he teaches. “Let the service provider – from civil servants to bank workers, restaurant workers and taxi drivers behave respectfully to those they serve; manifest goodwill for this beloved land by not misusing the roads being constructed, by not throwing garbage into the streets, by not engaging in riotous behaviour. “These are simple things that are within the capacity of everybody to do; but when all these add up, when all these little demonstration of goodwill become entrenched in the normal cause of our lives, then this country shall have gone very far into being great again. “If you are not manifesting this goodwill, if your actions inhibit the expansion of goodwill for this nation; if your behaviour hinders the development of youths, women and people from every part of this beloved land, then it is time for a new resolution. “It is time for a new resolution for change in our relationship with each other; a resolution for a new era of commitment, patriotism and pride; a new era for emphasizing the fact that though we still face challenges, this country has done better than most post conflict societies in ensuring peace, in sustaining democracy, in fighting corruption, in rebuilding its infrastructure, in attracting investment, in creating jobs, in increasing access to healthcare, in enrolling its children in schools, and in enhancing agricultural productivity. “For those who have already taken this resolution, those who have paid greater attention to nation than to self, those who have served the country well; youths who have paid great attention to enhancing their skills and building their work ethic, this is the time for re-affirming that commitment. “You have done well, but to sustain your contribution you must not relent, we must not tire, and we must do more to build upon the networks of goodwill and patriotic actions all over the country. “I joined politics because I believe in this nation. I asked you to elect me your President because I trust there are enough good men and women all over this nation to turn around the tides of the nation, enough men and women of goodwill to make this nation great again; enough men and women of resolutions strong enough to push them to noble actions for this beloved land. “Today I reiterate my call to all these men and women to show case that belief by standing up for law and order; today I summon all those who believe that transformation is possible to demonstrate that faith by their respect for public property. “Today I ask all Sierra Leoneans to take actions that will make this country proud, actions that honour our positive heritage; actions that secure our achievements and that are aligned with our aspirations for a democratic and prosperous nation. “Let the police officer of goodwill act to prevail over those who compromise the ethics of their profession; let the health worker of goodwill act to overcome habits that undermine his calling; let the teacher of goodwill act to reclaim the nobility of the profession. “Let the public servant, the journalist, the trader, and the farmer demonstrate goodwill to the nation by increasing his and her productivity, by standing up against corruption in his and her individual dealings with every other Sierra Leonean, and by obeying the laws of the land. “With the Agenda for Prosperity we have commenced the journey to a prosperous Sierra Leone. “This is an agenda of goodwill for the nation. It is an agenda of positive resolutions across eight pillars, and it is an agenda that calls out to everyone to come on board, to demonstrate goodwill to this nation by doing what is patriotic and productive in his or her efforts. “Patriotism and productivity must be the new catchwords, demonstrate your patriotism by being productive, that is the only way we can together achieve the goals we have set out for this country. “The journey shall be a challenging journey. That is why I will engage more with civil society, with journalists, with the private sector and with youths and women groups on the specifics of many of the challenges. 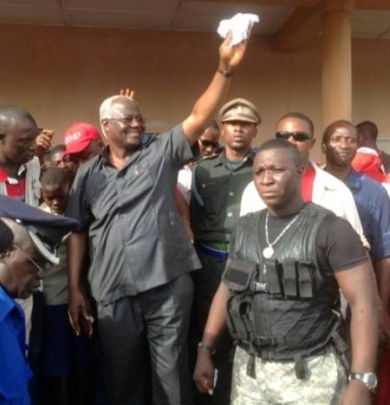 Will president Koroma’s resolution for 2014 succeed where previous ones have failed? Only time will tell, but he would need to start with his sacred cows. The president must now reshuffle his cabinet, and break the network of political patronage that is feeding the culture of corruption, bribery and graft in the country.